Although arthritis is more common in dogs, it also afflicts many elderly cats, particularly those that are overweight or have suffered dislocations or fractures. Glucosamine and chondroitin, which have been used successfully for years to treat arthritis in people, can also reduce arthritis symptoms in cats, dogs, and horses. Chondroprotectants such as glucosamine and chondroitin are considered nutraceuticals because they are somewhere between drugs and nutrients. 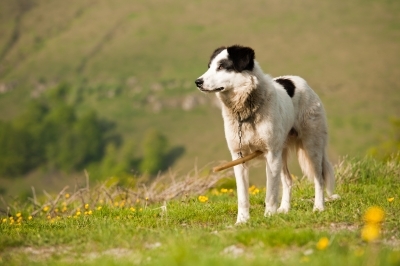 Chondroprotectants are used to treat a variety of osteoarthritis conditions in pets, including hip dysplasia, as well as to promote healing after spinal disc injuries and joint surgery. Glucosamine and chondroitin exist in the bodies of living animals, with the highest concentrations in the cartilage. Glucosamine helps the body to build new cartilage, whereas chondroitin blocks enzymes that break down joint cartilage. When animals get older they are unable to produce enough of these substances to meet the body’s needs. Providing glucosamine and chondroitin supplements often alleviates arthritis symptoms. Pets with arthritis that begin supplementation should continue taking the supplements for the rest of their lives. If they stop, the cartilage in their joints will again degenerate. However, when supplements are prescribed following injury or surgery, they may be used for only about 3 months or so. Few side effects have been noted with glucosamine and chondroitin supplements that are obtained from reputable companies. While a few pets have experienced vomiting or diarrhea, these side effects are uncommon and usually go away if the supplement is given with food rather than on an empty stomach. Glucosamine and chondroitin supplements have been used for more than 20 years in Europe without complications or serious side effects recorded for long-term use, and they are not known to have interactions with most commonly used medications or vitamins. However, pet owners should consult a veterinarian before giving supplements as there are a few substances and conditions for which certain nutraceuticals may be contraindicated. There are many different types of glucosamine and chondroitin supplements, and the two substances are often combined in a single pill. Quality of supplements is quite variable. Some contain ingredients of higher purity, and the concentrations of glucosamine and chondroitin differ from one product to the next. There are two forms of glucosamine available – glucosamine sulphate and glucosamine hydrochloride (HCL). Glucosamine HCL is gaining popularity because it has a higher purity and concentration of glucosamine, and less residual ash. Although the glucosamine and chondroitin that pets take are the same substances used in supplements designed for humans, animals should not be given human supplements because the dose will be incorrect. Also, supplements designed for animals often have flavourings that pets like, which makes them more palatable. Glucosamine-chondroitin supplements can be purchased from veterinary clinics and pet supply catalogues. Additional supplements that may be beneficial are vitamins C and E and essential fatty acids. Always consult a veterinarian before giving your pet supplements. For information on feline arthritis symptoms and treatments, see Arthritis in Cats. Veterinary & Aquatic Services Department, Drs. Foster & Smith Inc. (2011). “Glucosamine & Chondroitin for Arthritis in Cats” and “Glucosamine & Chondroitin for Hip Dysplasia and Arthritis in Dogs.” PetEducation.com.